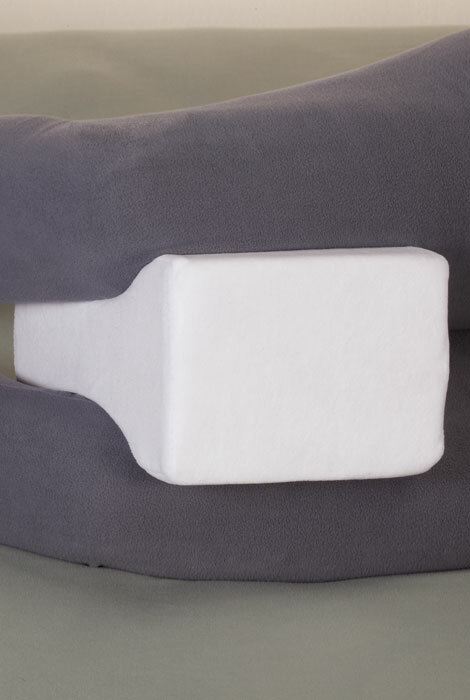 You’ll swear this memory foam leg pillow was custom made for you ... it conforms exactly to the contours of your legs so it won’t pop out in the middle of the night or flatten out by morning. 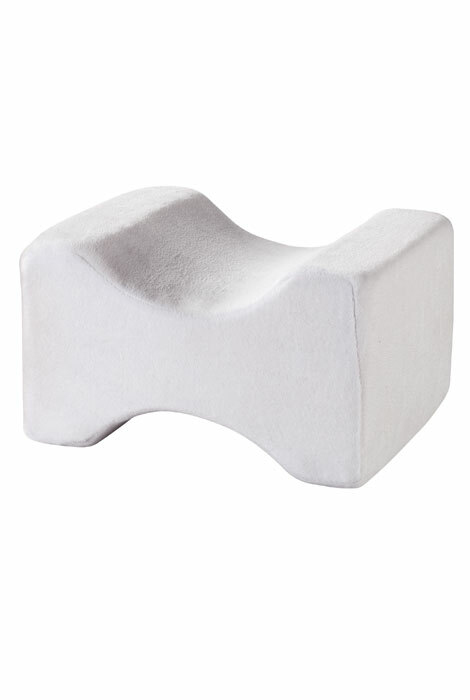 Offering firm density that’s comfortably lightweight, this contour leg pillow's ergonomic shape helps support lower body and reduce pressure on back, hips and knees. It positions you for incredibly comfortable sleep, then returns to original shape when not in use. Plush polyester pillowcase zips off for machine washing. Memory foam pillow measures 8" wide x 9 1/2" long x 5 1/2" high. I have back problems & this pillow helps keep my legs be level no matter which side I'm sleeping on. Put between knees while you sleep to raise hip. When I read the description, I thought this was what I had been looking for. After I received it and tried it, the cushion was too hard to be comfortable. When we ordered these, we were hoping they would be the desired thickness to support the legs without letting them press too hard together. They fit the description but when we received them they were harder than we had pictured. Also the curve depth did not allow us to move the pillow to a comfortable position. Both of us have short legs which may have been a factor. having hip issues and this type of pillow was recommended.